Because of compassion, God chooses to meet our daily needs. He does not answer prayer or supply our needs because of our standard of living or because we abstained for sin, for there is not a single person on the earth who has abstained or could abstain from sin to a measure that would please God (Romans 7:15, 18). God meets our needs because of his compassion. We must remember that our physical, emotional and spiritual needs are met because of the compassion of God. His compassion is greater than the miracle. Create more bread and fish? Not a problem, but to overcome the effects that sinners have brought to your heart is another matter. Compassion is a by product of love and for God to love us is the greatest miracle of all. As you read the miracle accounts, consider God and the part that his compassion plays in each act. As you consider miracles and answered prayers that have occurred in your life, praise him for those works and also for his love and compassion that motivated them. As far as people could tell, the little girl was dead. There wasn’t any hope and the parents just needed to accept it. Little did they know or understand, but Jesus had the power to meet every need and could perform whatever miracle was needed in order to change the circumstances for the little girl and her parents. The scorners were put out of the house and the parents witnessed Jesus perform a radical change in their daughter. Some time ago, you were in the same condition. You were dead in your sins. Your life was ruined and no hope was to be found. This was how your life was going to be and it was best for you to just accept it. But then you met Jesus. Before the eyes of the scorners, he raised you up from a life dead in trespasses and sins and gave you a new life in Christ. As with the little girl, your life too was radically changed and those who witnessed it were astonished. The old things in your life were passed away and all things became new. Even today, Jesus continues to do miraculous works in the lives of lost sinners. With some of these people, we had the opportunity to share the wonderful story of our changed life in Christ and others are yet to hear of the news. 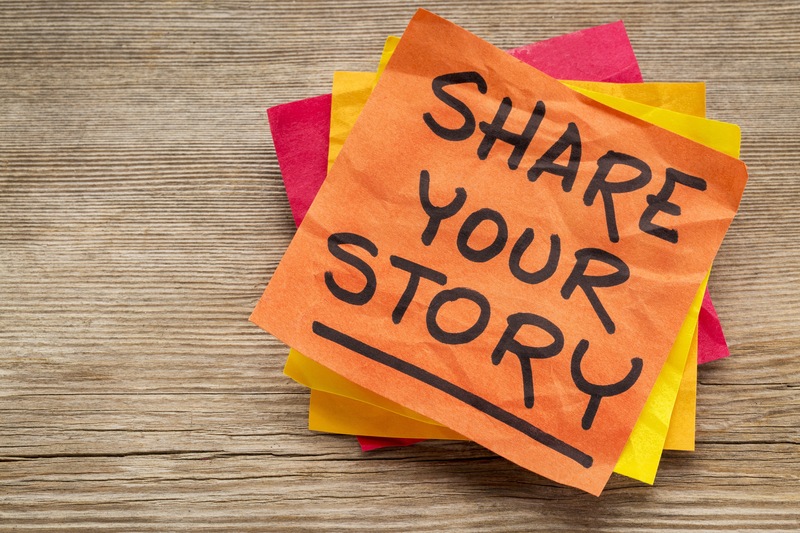 Share your story of salvation and victory in Christ. Not everybody will want to know, but somebody will be listening. I have read the gospels countless times and each time that I read the words and account of Jesus’s life, my heart is moved. As I read of how Jesus healed Simon’s wife’s mother, I can identify with a similar miracle that he has done in my life and hopefully in yours also. To have a fever in that day was much more serious than it would be today. This woman, who was loved by her daughter, was in peril of death. When Jesus entered the house, they desired for him to perform a work of healing. As the scriptures tell us, he took her by the hand and lifted her up. It is amazing how Jesus by his touch can lift somebody from the depths of peril and establish them in good health. It was not long ago when you and I were in the depths and peril of sin. There was no hope to be found and then Jesus came. He reached out with his tender loving hand, grasped your heart, lifted you out and established your feet to walk a new life. The world cannot explain what happened and for me, even after all these years, I cannot explain how it happened. As the blind man said, “I once was blind, but now I see”, I too can say, “I once was in the depths of sin, hopelessness and despair, but Jesus lifted me out.” It was a miracle that changed my life and destiny forever. Praise be to God. Immediately after her healing, Simon’s wife’s mother ministered to others. God desires for us to do the same. He lifted us up and set is free for a purpose. Our purpose is to fulfill our part in his work. Years ago a bible college teacher defined “The Work” as God using man in his plan for the ages. God has a plan for the ages and he lifted us out of the pit to be a part in that plan. As you walk with The Lord today, seek how he may want to use you in ministry to others. When you recognize the opportunity, step out and be the part of God’s that only you were meant to be.